As seen on our Cooking Channel feature with G. Garvin, our Peanut Butter Blueberry Powerhouse Smoothie hits the sweet spot while packing an antioxidant + protein-rich punch. 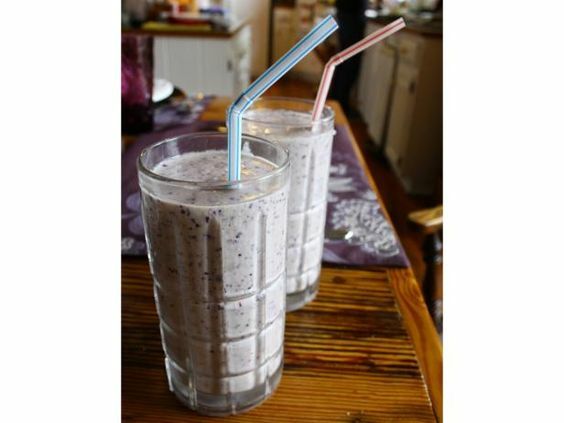 With two cups of fresh blueberries and 3 tablespoons of rich, protein-packed peanut butter, Hope and Harmony Farms Peanut Butter Blueberry Smoothie is a powerhouse breakfast that the whole family will love. Fresh blueberries are high in antioxidants, can help support digestion* and provide a hefty dose of Vitamin K and Vitamin C. Virginia peanuts, offering more protein per serving than any other nut, have a nutritional profile of 30 essential nutrients and phytonutrients; also a naturally cholesterol free food. 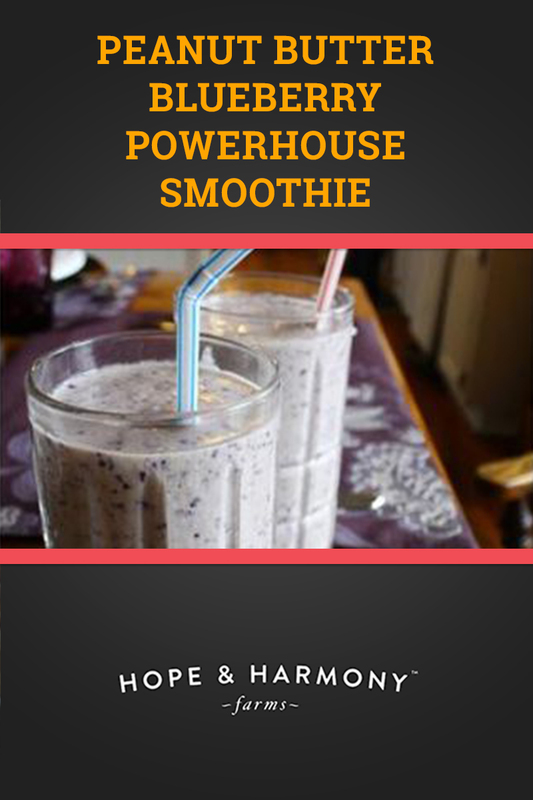 Combine the blueberries, milk and peanut butter in a blender and blend on high speed for 30 seconds. Add the frozen yogurt and ice and blend again until smooth, 30 seconds.